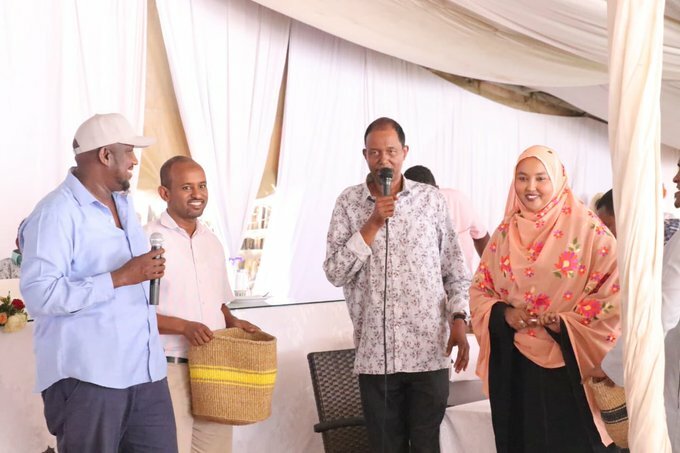 Kenyans have reacted angrily to a move by ethnic Somali legislators and businessmen to raise over Ksh 30 million for family members of two young Somalis who were also killed in the DusitD2 hotel attacks. Through social media, netizens have questioned why they decided to raise money for those of their ethnicities and not all those who perished while the source of all problems is Somalia. The fundraising was for the families of Abdalla Dahir (33) and Feisal Ahmed (31) who were both killed in the DusitD2 attack in January. Abdalla was a photographer while Feisal just started a family and left behind a wife who was seven months pregnant. Abdalla and Feisal were friends and were both having lunch at the DusitD2 hotel during the attack. They were killed at the Secret Garden restaurant where a suicide bomber blew himself. The fundraising was led by Kamukunji MP Yusuf Hassan and Wajir Women Representative Fatuma Gedi among others. It was reportedly supported by many other politicians and businessmen from the Somali community. It raised over Ksh 21 million while others were online through platforms like GoFundme netting over Ksh 5 million by the time of going to press. There have been loud murmurs among other Kenyans who question the loyalty of most politicians from the Somali community who seems to view Somalia is their home and not Kenya. Most of the politicians including Bare Shill, Ali Korane and Faraah Maalim spend most of their time engaging about issues in Somalia and not Kenya. Some have been known to pledge allegiances to clan warlords in the war torn country and not the government of Kenya. Members of the Somali community have deeply penetrated most aspects of Kenyan economy with a powerful representation in politics, business as well expanded business empire which has now even taken over Nairobi’s Central Business District and the real estate sector. Non Somali Kenyans working in North Easter region of the country have been targeted in attacks by terrorists while the ethnic Somalis there also constantly refer to them as Nywele Ngumu (Hard Haired), something which has been constantly called discriminatory.